You have no doubt heard by now all the buzz surrounding the use of social media by brands and how to do it effectively. It is commonplace to hear social media recommended as a must-have utility for brands of all shapes and sizes, but why exactly is social media so vital? There are tangible benefits that social media can provide, as well as more abstract benefits that it can help promote for your brand. Whether you are new to social media or have been using it for years, it is a good idea to understand the multiple benefits it can provide. Below, we’ll talk about those benefits – some of which you’re probably already familiar and some you may not have considered. 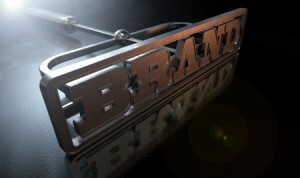 When somebody searches for your brand, what do they find? They’re likely to come across your website first, but social media presences do not follow far behind in SERPs. A brand with a dedicated and established social media presence is far more likely to be perceived as trustworthy in the eyes of searchers and shoppers. Furthermore, the content and the way in which you interact with your followers can help to reinforce this effect. When shoppers see a consistently active brand, they know that it is not some fly-by-night operation seeking to make a quick buck. This is probably known to most who use social media effectively, but it is an important benefit to using it: continuous use of social media through pinging links can work wonders at driving traffic to your website. For those brands that produce ample content on a consistent basis, sharing it across their social media profiles ensures that more clicks are gained and that more traffic is inevitably reading and engaging with pages. While social media use in and of itself doesn’t help boost your website’s rankings in select SERPs, it can be an additional boost to your overall presence. The more continuously used social media profiles and pages you have, the more opportunities your brand will have to appear in search results pertaining to select keywords or brand searches. With this tactic being used, you are sure to rank well (in terms of having the maximum number of pages listed on the first page of search) whenever somebody searches for something relevant to your brand. Social media functions as an extension of ourselves, but also can allow for more informal and creative opportunities to be seized. It is on sites such as Facebook, Twitter and Instagram that you can more adequately shape the impression people will have of your brand in ways that might not look professional or be aesthetically pleasing elsewhere. From showcasing images on Instagram to pinging links to funny videos on Facebook, social media offers a world of opportunities to its users in terms of creating an additional personality for the brand. By using it, you will be able to better relate to people and connect with them in new and exciting ways.